The XT Fit CPAP Machine is a cute little piece of equipment. There are many modern features that this machine provides while staying budget-friendly. 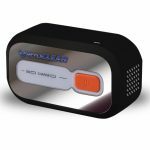 It is ready for travel with a small size and simple power cord, what makes Apex XT Fit CPAP machine one of the best cpap machine for travel This small CPAP machine has a single pressure and it sizeable enough to go anywhere with you. The XT Fit features a ramp setting so therapy can be eased into at night. It has many other things that make it unique and original including many things that you wouldn’t expect a low end device like this to include. 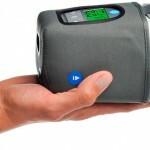 The XT Fit CPAP Machine is extremely portable and it can easily be added to a suitcase or bag and taken anywhere. With some versions the machine also includes a travel bag which will easily hold accessories. The XT Fit Travel CPAP machine also features a ramp setting so therapy can be eased into at night. The display of the machine is illuminated to view information in rooms with low light. All of these features make it very appealing but it is extremely important to review the pros and the cons because problems do occur when using this machine. Pros: The XT Fit CPAP machine has many positives, especially to be as little as it is. For one the price is more than great! It will also operate between 100-240V AC power, so it can be used overseas with the addition of the proper plug adapter. Plus there is no bulky power supply with the machine, just a simple cord that plugs into the machine and then into an outlet. 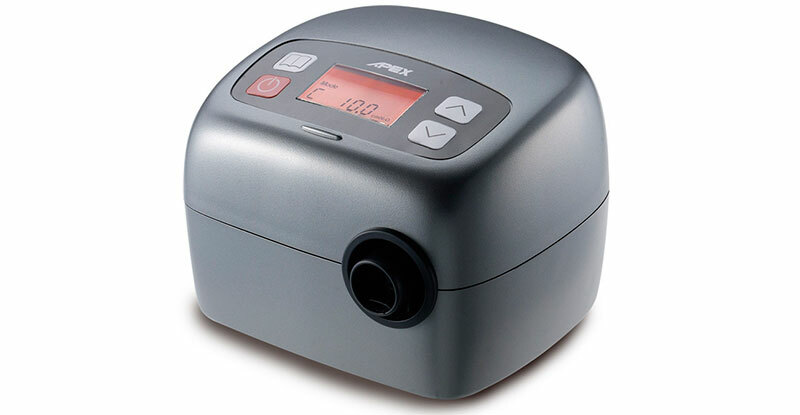 With the XT Fit CPAP machine there is also an option for a heated humidifier for more comfortable therapy. Heated humidification can reduce irritation caused by cold, dry air. If you want it then you can decide to add it when you order your original device. Cons: With every machine, there is always a problem. 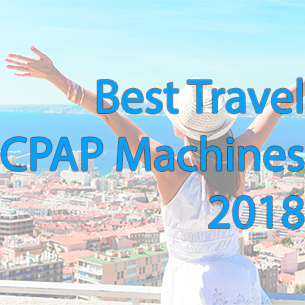 With XT Fit Travel CPAP machine it seems to be the noise. While most customers don’t complain about an unbearable noise, the majority say that you can definitely tell that it is there and that it is switched on. The other problem many complain of is the light. While it is good to have, it is extremely bright and it there is no way to turn it down. If you are sensitive this could be a potential problem for you. The noise and light may also be issues for your husband or wife. It’s something to consult with them about before you buy. This machine is surprisingly good to be so small and it is the perfect device in emergency situations. Though it leaves a lot to be wanted, the price tag is small and its extreme portability allows you to take it anywhere. Though this isn’t something you would want to be to use every night for an extended period of time, I would suggest buying this device for temporary use and then storing it for anything that comes up later.